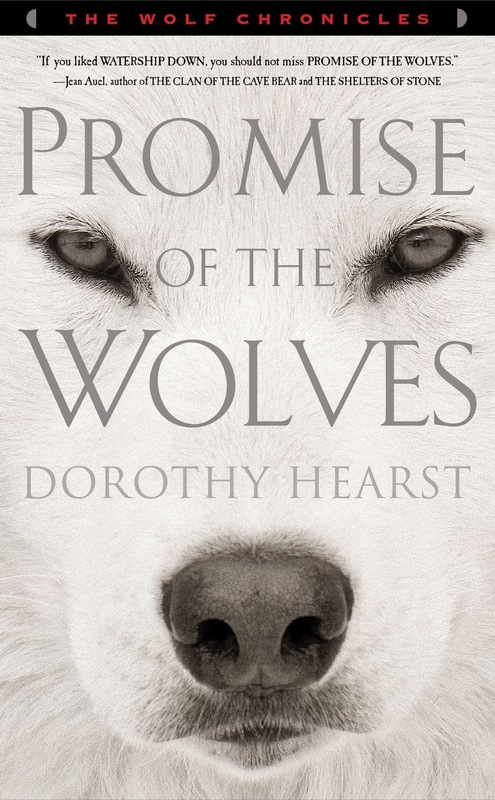 Today, I'm pleased to share a guest post by Dorothy Hearst, author of the Wolf Chronicles trilogy, and be a stop on the blog tour! 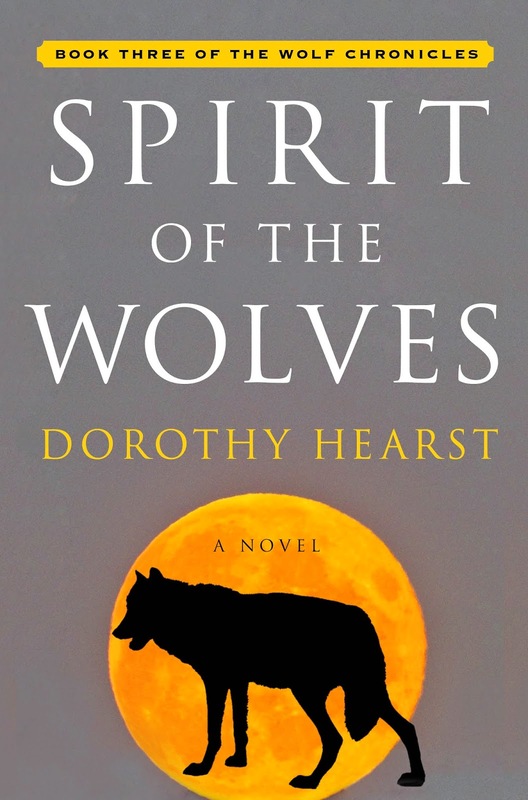 Before the wolves barged in the door, demanding that their story be told, Dorothy Hearst was a senior editor at Jossey-Bass, where she published books for nonprofit, public, and social change leaders. She currently lives, writes, and plays with dogs in Berkeley, California. 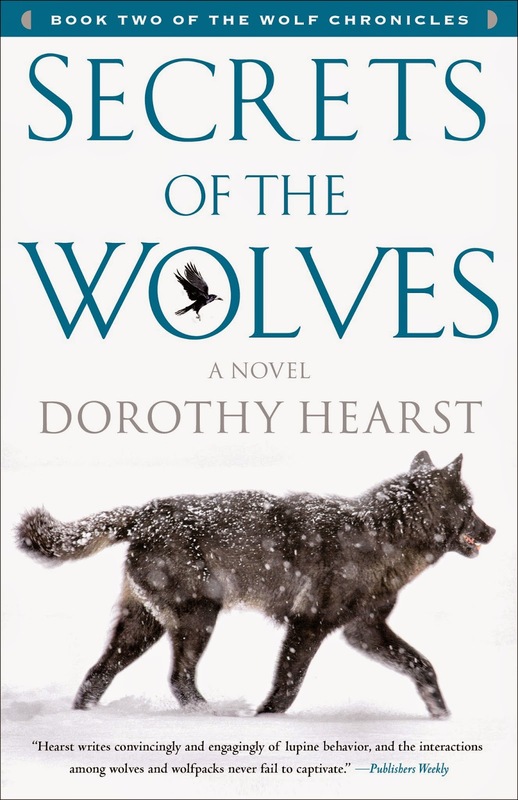 Spirit of the Wolves, the third and final title in the Wolf Chronicles, was released December 2. For more information, and to download free CCSS-aligned discussion questions for all three novels, visit her website: dorothyhearst.com. In the course of The Wolf Chronicles, the young characters in the book all face challenges that force them to take on new responsibilities. This ended up shaping a lot of the book. I started out writing the story of how the wolf became the dog from the wolf’s point of view, and ended up also writing a story of two young wolves, a young raven, and a human girl coming into their own. This happened, in part, because I write biographies for most of my characters. In doing so, I learned what each character in The Wolf Chronicles both wanted and feared. I found that for all of my young characters, fear and uncertainty about their own abilities often got in their way. 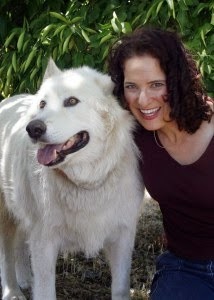 Kaala: In the beginning, Kaala just wants to be part of her pack. Then, when she saves the life of the human girl TaLi, she takes on responsibility for bringing wolves and humans together. When she makes the promise to do so, she’s not really old enough to understand what it will mean for her. Much of the story of The Wolf Chronicles is about Kaala learning how to honor this promise, and finding the skills she needs to do her best to succeed. 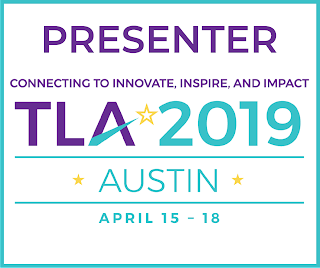 In particular, she learns to bring together the strengths of Ázzuen, Tlitoo, TaLi, and others as they all try to achieve what seems like an impossible goal. Ázzuen, Kaala’s best wolf friend: As a pup, Ázzuen is small and not particularly impressive. He hangs back, afraid to cross the river, afraid to get enough milk to survive. But he’s smart. One thing he’s not afraid to do is to speak up when he thinks other wolves are wrong. As he grow up, he embraces this trait and loses his fear of other things. He becomes a powerful wolf not by being physically strong, but by being thoughtful and steady. Tlitoo, the jokester raven: Tlitoo is a trickster and, at the beginning of the trilogy, very sure of himself. He’s quick to criticize others and always ready to have fun. When he finds out that he has a very serious job to do, he at first refuses. He’s terrified of the responsibility that comes his way. Then, when the lives of his friends depend upon his taking on his new task, he does so. He keeps his irreverence and sense of fun, but grows into his new role. TaLi, the human girl: At the beginning of Promise of the Wolves, TaLi knows that she is going to be a spiritual leader of her village—sometime in the far future. When she befriends Kaala, all that changes. She has to take on responsibility earlier than she planned, and she has to be willing to give up acceptance and a relatively easy life to help the wolves keep their promise. Each character discovered that what she or he needed to do was more important than any fear or uncertainty, and found ways to overcome obstacles. It ended up being one of my favorite parts of the books. Thank you so much for hosting me here today. I look forward to answering any questions!